Kuala Lumpur , 6th April 2017 - Munchy's top selling sandwich biscuit that is well known for its admixture of calsium vegetable crackers that are sandwich packed with smooth and creamy indulent filings , returns this year with its Detik Penuh Keceriaan (DPK) 2.0 Campaign . The campaign which is officially launched today aims to continue the brand's effort in empowering mothers to transform everyday routines into special little moments with their children . Hooked onto an expeditious era , Mothers focus on commemorating special occasions while little moments that happen in their daily routines are often overlooked or forgotten . However , these little moments are special and means the world to the children as they play a vital role in molding their characters and future . The Detik Penuh Keceriaan (DPK) 2.0 Campaign was derived with the passion to inspire mothers in finding time and interest in the smallest pleasures of bonding with their children . "Following last year's success , they are very pleased to bring the campaign back to consumers in which LEXUS continues being the enabler for mothers to find delight in the little things they do on a daily basis as they create bigger memories with their children . 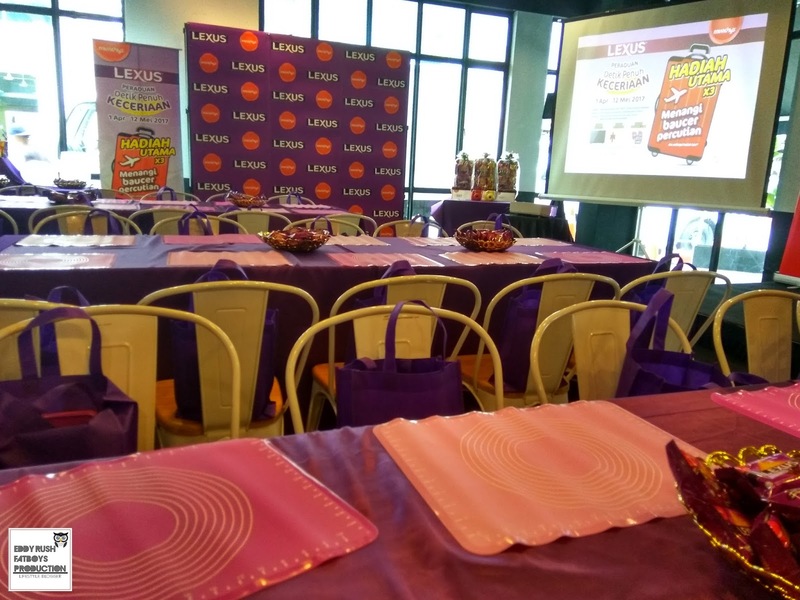 We believe that with LEXUS , they are not only providing a delicious indulgence for them , but we will show them the ropes in creating greater bonds with their children anytime and anywhere as we become a part of the memorable journey together , " said Imun Lim , General Manager Marketing of Munchworld Marketing Sdn Bhd . In conjunction with the launch of the campaign , LEXUS hosted a biscuit decorating workshop to bring joy as well as to encourage mothers and children unleash their creativity together at the session . The workshop also included a live biscuit decorating demonstration hosted by Hunny Madu , local host .singer and radio DJ, who is also the mother of Eva Medina , Invited guests . along with their children , also took the opportunity to create memories and strengthen the bond between themselves as they teamed up to decorate their LEXUS biscuits together . "We often think that it is challenging for us to strengthen it with our children , especially as working mothers in this fast paced world . However , as mothers , we don't have to move mountains to bond with them . it takes only small occasions such as teaching our children to ride a bicycle , reading them a bedtime story , or even decorating biscuits with them . These bonds are not just wonderful memories that we will all cherish as they grow up , it also plays an essential role in shaping their characters and building their future in the years to come , " shared Hunny Madu . In concurrence with mother's day this year , LEXUS has also launched its nationwide Detik Penuh Keceriaan Contest that will run from now still 12 May 2017 . there will be exciting prizes to be won including holiday vouchers , home electronics . Shopping vouchers and LEXUS hampers ! To participate , mothers are encouraged to decorate LEXUS bisciuts with their children and upload an image of their most creative LEXUS biscuit designs . LEXUS has also recently launched its new thematic TVC in conjunction with this campaign . The TVC is aimed to reach out to mothers and highlights on the importance of indulging in small moments with their children which will create impactful memories onto them that will be cherished . as it slowly molds them when they grow up . The new TVC are available in malay language and Chinese Language at Youtube . LEXUS is available in five different flavours which include chocolate . Peanut Butter , Cheese , Vegetable and chocolate coated . For those who wish to munch on these delightful indulgence . it can be purchased at neighbourhood grocery stores , hypermarkets and retail outlets nationwide . it comes in four different sizes , which are 57gm (individual pack) priced at RM1.30 , 114gm priced at RM2.99 190/200gm (sharing pack) priced RM5.15 and 456/400gm (value pack) priced at RM8.95 . A;; prices stated here are inclusive of GST .